Description: In this vividly written biography, William E. Wallace offers a new view of the artist. Not only a supremely gifted sculptor, painter, architect and poet, Michelangelo was also an aristocrat who firmly believed in the ancient, noble origins of his family. The belief in his patrician status fueled his lifelong ambition to improve his family's financial situation and to raise the social standing of artists. Michelangelo's ambitions are evident in his writing, dress and comportment, as well as in his ability to befriend, influence and occasionally say 'no' to popes, kings and princes. 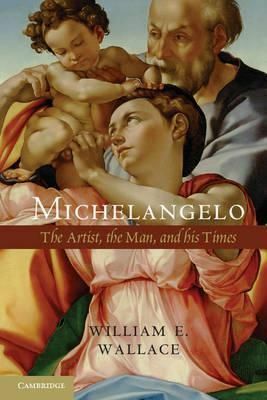 Written from the words of Michelangelo and his contemporaries, this biography not only tells his own stories, but also brings to life the culture and society of Renaissance Florence and Rome. Not since Irving Stone's novel The Agony and the Ecstasy has there been such a compelling and human portrayal of this remarkable yet credible human individual.